1. Paint your nails the color you want the center part to be. Let them dry completely. 2. 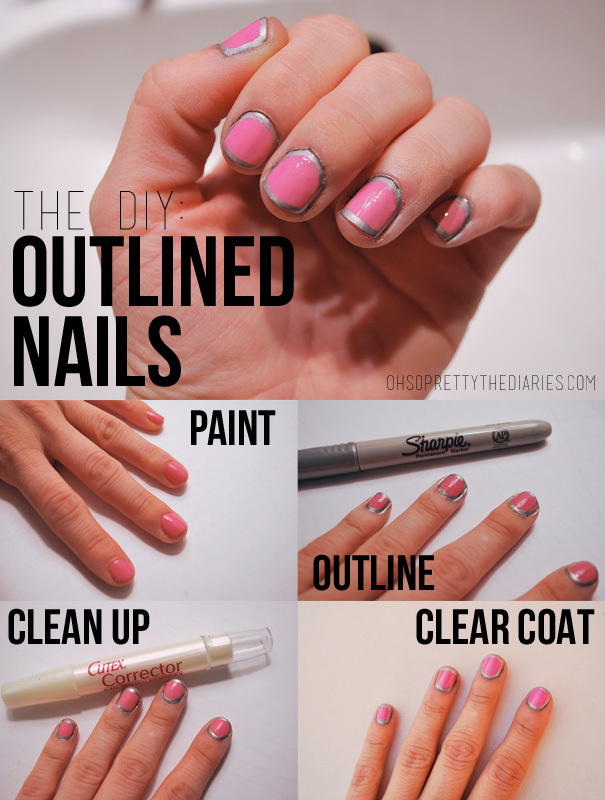 Outline the nails with a Sharpie in any color you'd like. 3. Clean up the mess you made. My fingers were pretty bad. Let the Sharpie dry. 4. Add a clear top coat! Pretty simple! Let us know if there are any nail trends or ideas that you would like us to try! Does the Sharpie come off with nail polish remover?